Veterans benefits due military personnel frequently go unclaimed. Often overlooked are disabled veteran payments, veteran death benefits and burial allowances, veterans life insurance, savings bonds and military back pay. The Army, Navy, Air Force and Marines provide safekeeping of US Savings Bonds for service members, a great many of which go un-redeemed after separation. Former servicemen and heirs may also be entitled to Adjusted Service Bonds (ASB) and Armed Forces Leave Bonds (AFLB), issued as compensation for accumulated but unused military leave. Service members or beneficiaries may be entitled to Service members’ Group Life Insurance. 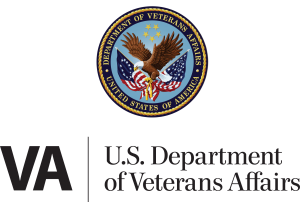 The Veterans Insurance Funds database, includes death awards, dividend checks and premium refunds owed to missing current and former policyholders or beneficiaries arising from United States Government Life, National Service Life Insurance, Veterans Special Life Insurance, Veterans Reopened Insurance, and Service-Disabled Veterans Life programs. To conduct a search for a deceased relative’s Veteran’s Benefits, contact us for an appointment.